Not all important scientific research is cool looking, or has a cool name. But now and then you get something with both. 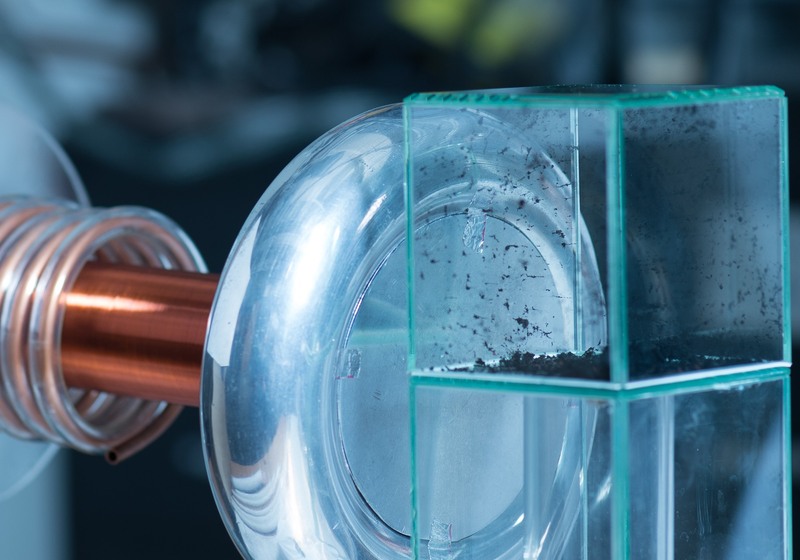 These self-assembling carbon nanotubes are created with a process called Teslaphoresis. If you’ve read a more impressive-sounding sentence today, I’d like to hear it. Even the lab of Rice University chemist Paul Cherukuri looks like a proper mad scientist’s lair. But don’t let the flashy trappings fool you: this is a very significant development. Nanotubes are one of these carbon supermaterials that, like graphene, are full of interesting properties and theoretical applications but — again like graphene — are difficult to manufacture cheaply and reliably. This new method could be a breakthrough in the creation of the ultra-thin, ultra-strong, and ultra-conductive carbon nanowires. Cherukuri has a lifelong love of Tesla coils, which produce powerful AC electrical fields. In that second gif, the wires are actually connecting those two LEDs and transmitting power to them. The longest chain so far has been 15 cm. And if the “wires” look a little furry, that’s because plenty of nanotubes will adhere in the attempt to get in line with the others. Patterned surfaces (to scrape the extra off, or guide it into other channels to self-assemble there) and multiple coils could fix that. It’s advances like this that make things like permanent electronic implants and flexible circuits possible. Before long you’ll be taking these things for granted. The researchers published their work in the journal ACS Nano.